What do you make when you have lot of oranges at home ??? 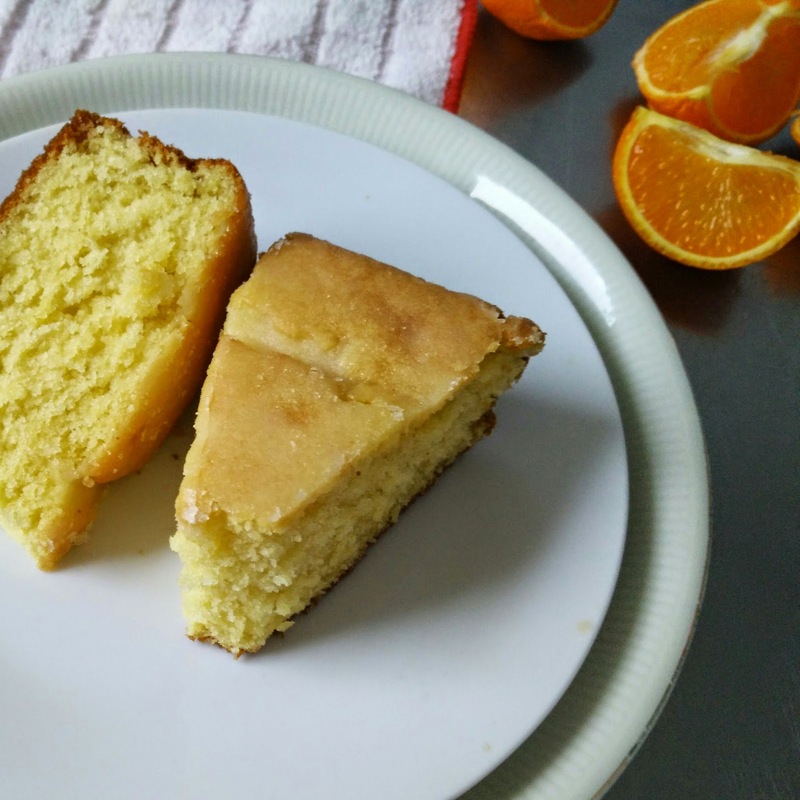 I made Fresh Orange Cake yesterday because I had lot of oranges at home. It turned yummy yummy ..... 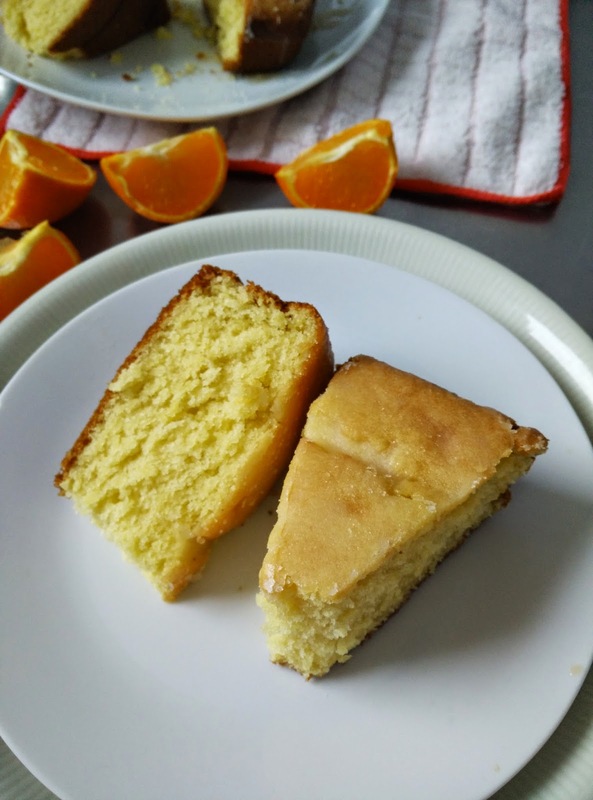 Yes , "Egg less Fresh Orange Cake with Sugar Glaze" is another addition to my Bake n Cake recipe category. Serve along with Tea or you can have just like that !! 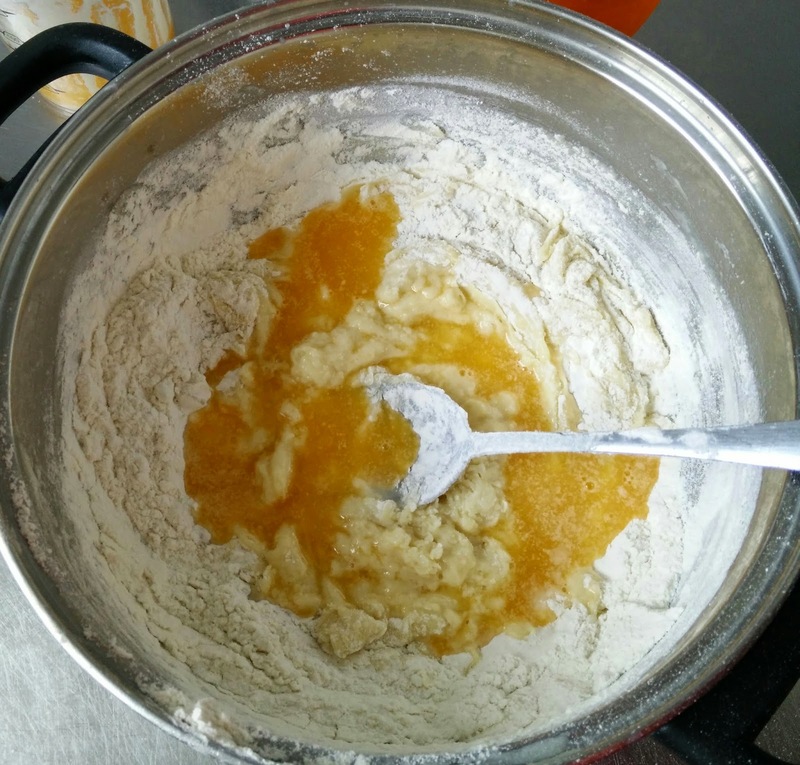 Grind the sugar into a fine powder for the batter and glaze separately and keep it aside. Mix flour, baking soda , baking powder and salt well and keep it ready. You can even sift these dry ingredients.This is very important as salt, baking powder and soda should evenly get combined with the flour. 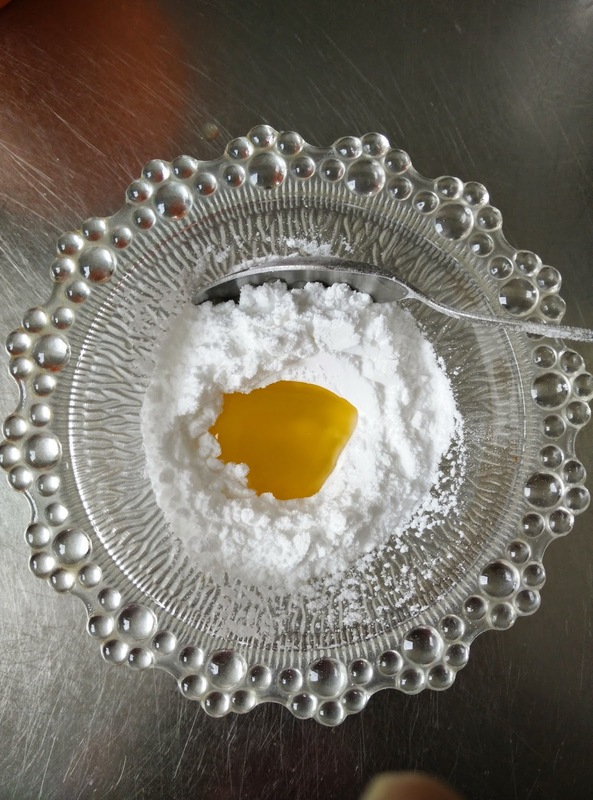 In a large mixing bowl first mix powdered sugar and melted butter till it becomes puffy. 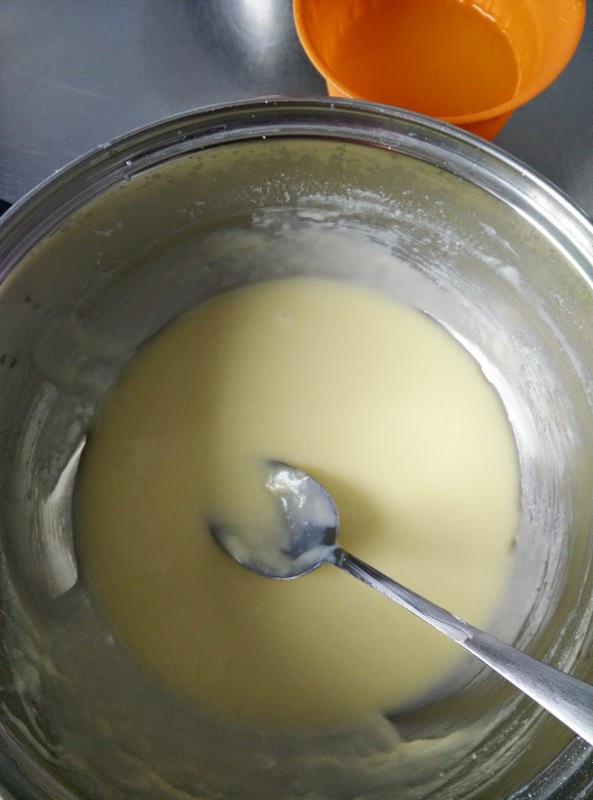 Now add condensed milk and mix nicely. 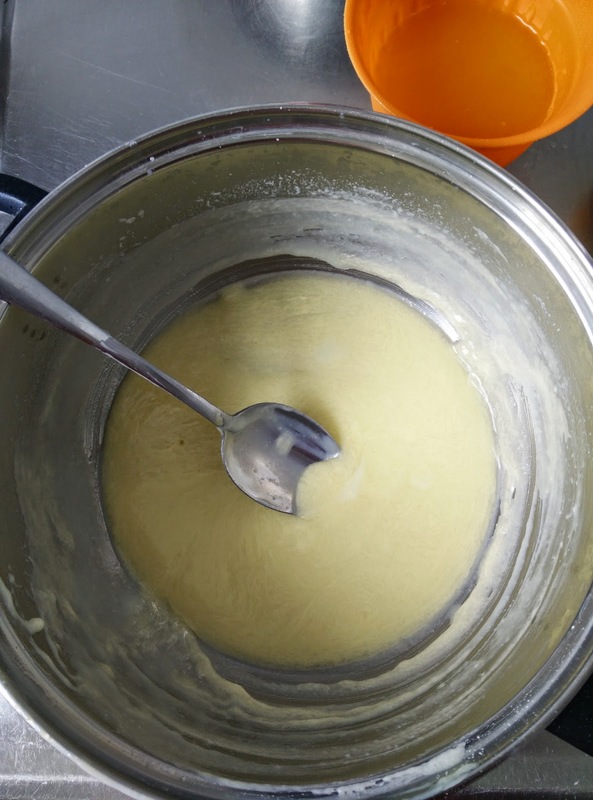 Add flour mixture little by little along with orange juice and mix nicely.Pour only 100 ml of orange juice initially and prepare the batter. 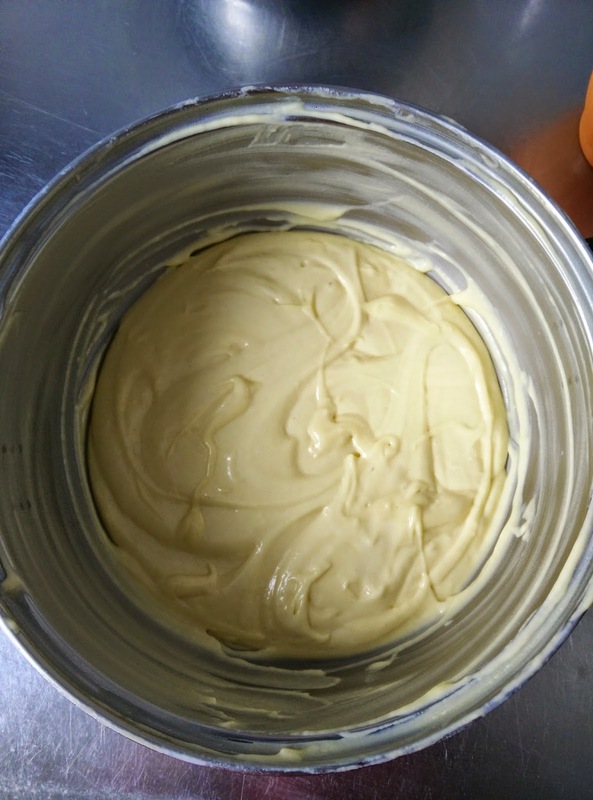 If you feel batter is very thick at the end , you can add more orange juice.Mix the ingredients really well so that no lumps are formed. In the whole process you can use your hands or whisk whichever you feel comfortable . Grease the baking loaf pan with butter on sides and bottom and dust with little flour. Hold the loaf pan up side down and tap once so that all the excessive flour flies off. 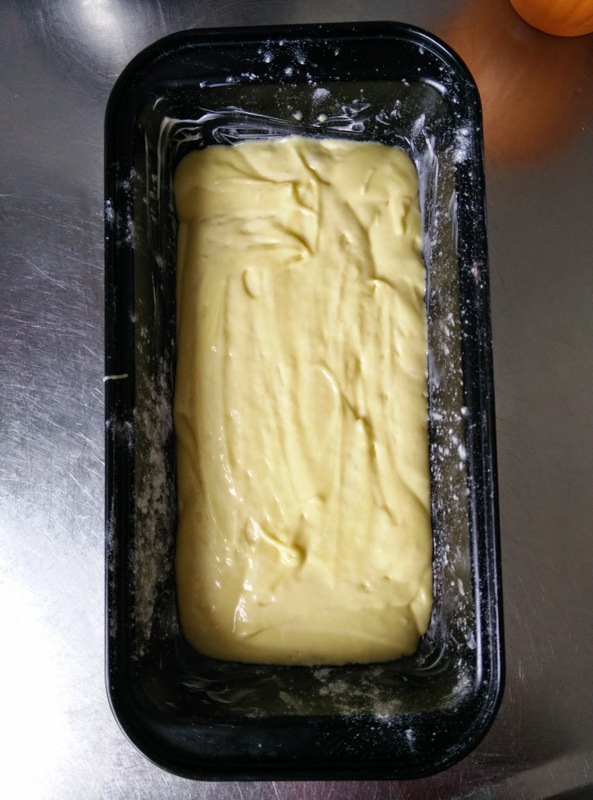 Now pour the cake batter into the loaf pan.Pat it once on surface so that batter gets even inside the pan. All set to go into the oven. Bake it at 180 Degree C for about 25 mins and check.How To Check ? Insert a tooth pick /knife in the middle of the cake, if it comes out clean we are all done. If not yet done , keep it for 5/10 more mins and check again .Repeat the process until cake bakes completely.It took only 30 mins for me. After you remove from oven , keep it for 2-3 mins , and close a loaf pan with plate and flip it. Slowly lift the cake and keep it on a cooling rack and let it cool. After it cools down completely, pour the sugar glaze on top and let it set for 15-20 mins. Once it is set , chop it into a shape of your choice and enjoy with tea/ coffee. 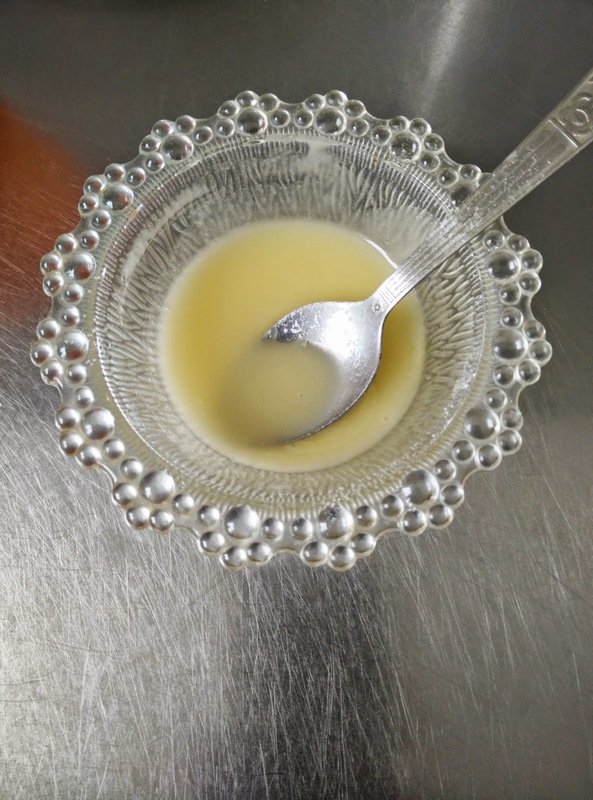 Whisk powdered sugar and orange juice together to form a smooth paste .You can add orange juice little by little and prepare thin/thick glaze which has pouring consistency. isn't it simple? 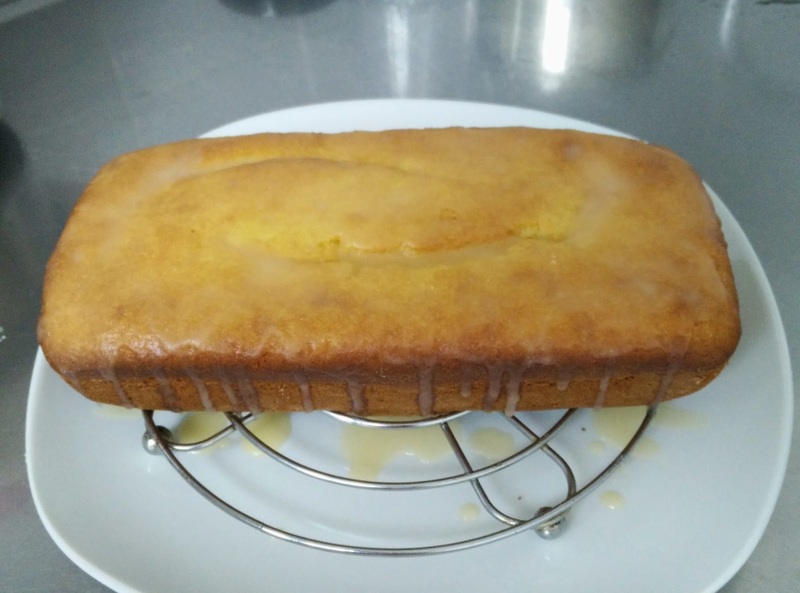 Poke holes in the top of the cake using tooth pick.Using brush,you can spread the glaze evenly over the top and sides instead of pouring all over. 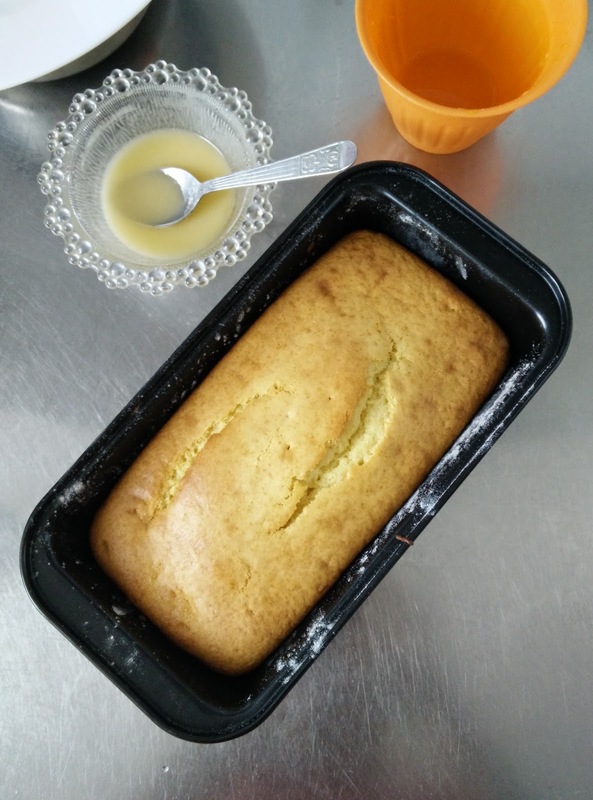 This recipe makes medium sweet cake. 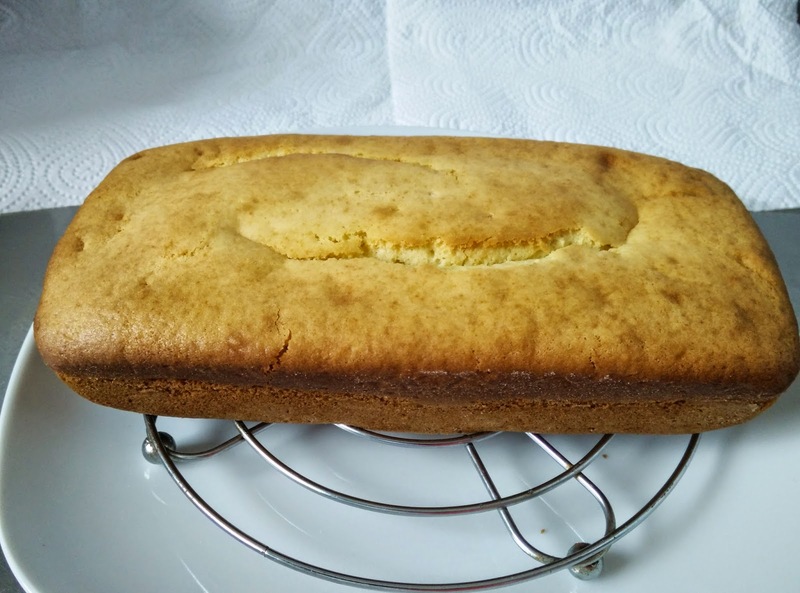 You can increase the quantity of sugar if you want to prepare the cake more sweeter. 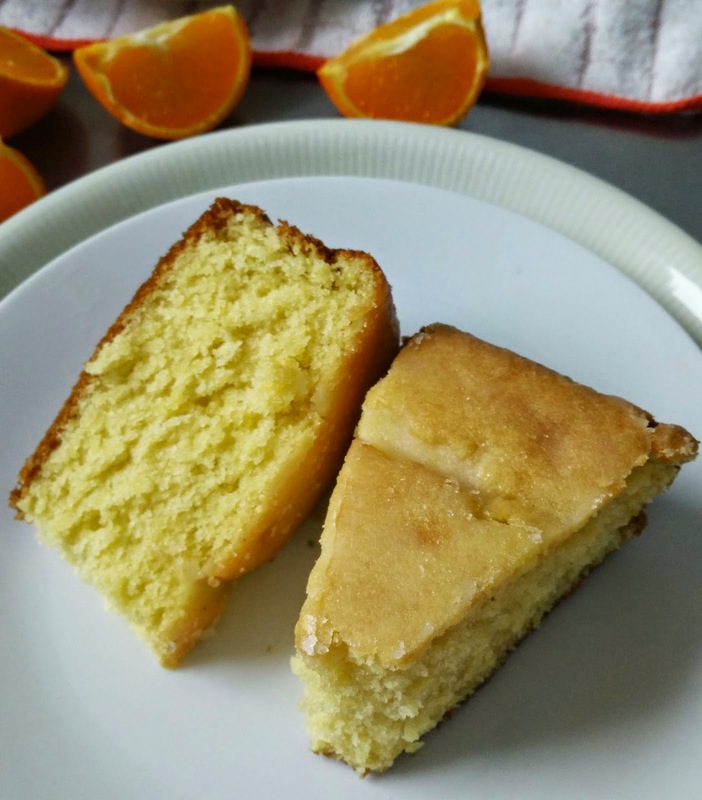 For this recipe I used 3 medium size oranges.